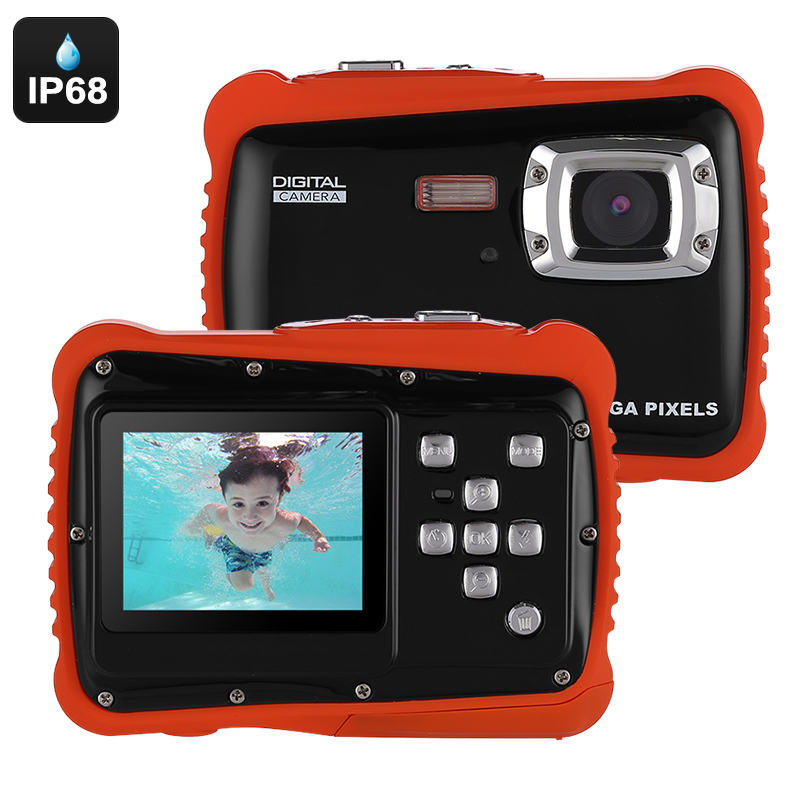 Successfully Added Powpro Kfun PP-J52 Underwater Camera - IP68 Waterproof, HD Video, 5MP Picture, 2-Inch Screen, 32GB SD Card (Black) to your Shopping Cart. With the Powpro Kfun PP-J52 action camera, your kids will be able to shoot their own pictures and video during your upcoming holidays and road trips. The camera features a tough IP68 design which makes it resistant to dust, drops, and water. This means that you won’t have to worry about your child accidentally dropping his camera as this gizmo has been specifically designed to withstand a hit. Thanks to its waterproof rating, it even is capable of snapping stunning pictures underwater. This brings along great fun for your child during your next trip to the beach or pool. On its crisp 2-Inch display, this waterproof action camera lets you watch back previously snapped photos and video instantly. Thanks to its 5MP sensor, it is capable of shooting HD film and 5MP pictures at all times. The camera itself adjusts its settings automatically based on the light and environment. Therefore, your child will always be able to snap stunning pictures without manually needing to adjust the settings. With 4x digital zoom, it even supports you to take photos from afar. A 65-degree angle lens is in place to make sure that nothing that lies ahead stays uncaptured with this action camera. Your digital camera is powered by two AAA batteries that treat you to tons of usage time. By allowing you to slide in a 32GB SD card, it treats you to more than enough storage to save all your snapped pictures and film. With this waterproof kids camera at their side, your children will be able to fully enjoy their upcoming holidays while developing their photography skills. The Powpro Kfun PP-J52 action camera comes with a 12 months warranty, brought to you by the leader in electronic devices as well as wholesale sports action cameras..